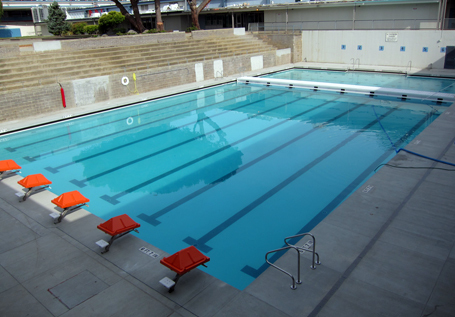 San Mateo Union High School District commissioned the team of Counsilman-Hunsaker and Quattrocchi Kwok Architects to provide aquatic facility audits for four district high school swimming pools: Aragon High School, Capuchino High School, Hillsdale High School, and Mills High School. The audits were performed primarily to assist in defining a clear scope of work for the necessary course of action regarding the future of these aquatic facilities. The audits identified items that were substandard, not to current California code for public swimming pools and programming obsolescence for National Federation of State High School aquatic competitions in swimming and water polo. An opinion of probable construction cost was provided for recommended repairs and or replacement in order to bring the pools up to the district expectations for accommodating their student athletic programs. Pleased with the evaluations and findings from the audit, the team of Counsilman-Hunsaker and Quattrocchi Kwok Architects was directed to move forward with construction design services for the replacement of all four high school swimming pools as identified in the audits. Capuchino High School – 6,100 sq. ft.
Mills High School – 7,700 sq. ft.